Prestige 63' Fly 2017 | "king Me"
63' Prestige 630 Fly 2017 "king Me"
Here is the perfect opportunity for the buyer who always asks to be the first person called when a late model boat in "like new" condition become available. So here is your chance. I am alerting you the boat you wanted has arrived and no, the pictures you see on this listing are not factory supplied, they were just taken. The boat is impeccably maintained and will save one of you hundreds of thousands of dollars. 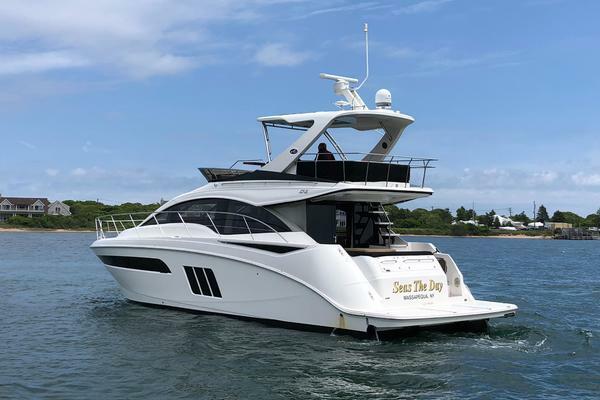 United Yacht Sales New Jersey would love to guide you through a personal showing of this 63' Prestige 630 Fly 2017. This yacht for sale is located in Palm Beach, Florida and priced at $1,695,000. For a showing please contact us by filling out the form on this page and we will get back to you shortly!